Each team at Acalanes relies on financial support from a variety of sources. Supporting each of the branches makes the team stronger! Kaylee Pond GB Acalanes Basketball Girls V Jr.
Lauren Kobashigawa GB Acalanes Basketball Girls V Jr.
Michelle Goll GB Acalanes Basketball Girls V Fr. 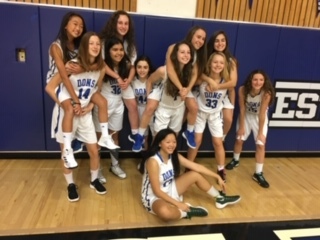 Lauren Frechman GB Acalanes Basketball Girls V Jr.
Kate Schirmer GB Acalanes Basketball Girls V Sr.
Mikaela Valerio GB Acalanes Basketball Girls V Jr.
Daphne Ganter GB Acalanes Basketball Girls V Jr.
Gabby Schneider GB Acalanes Basketball Girls V So. Grace Gebhardt GB Acalanes Basketball Girls V So. For online services that allow WIDGETS: i.e. TeamSnap, MaxPreps, GameChanger. IF USING RAW HTML: Delete this Text Block. If NOT USING RAW HTML, disable the outer row container of this Text Block. Spreadsheet information can be pasted into rows. IF USING MANUAL TABLE: Delete this Text Block. If NOT USING MANUAL TABLE, disable the outer row container of this Text Block. Paste your iFrame or contained HTML code source here. This format is super awesome but optional.